Full disclosure—Gresham is my niece. That said, I can't think of another line of jewelry that is better suited for Sprout. Her style matches ours perfectly and I love how she changes it up every season. Here are some of her latest pieces incorporating agate beads, leather tassels, arrowhead shapes and slices of geodes. We have more in the way of bracelets and ear rings as well. Gresham has recently expanded and has her line in over 20 stores nationwide. Check out here website and follow her on Instagram (greshamjewelry) to keep up with her latest designs. We've got more than flowers for your Valentine, so stop by and pick up a gift along with a bouquet. 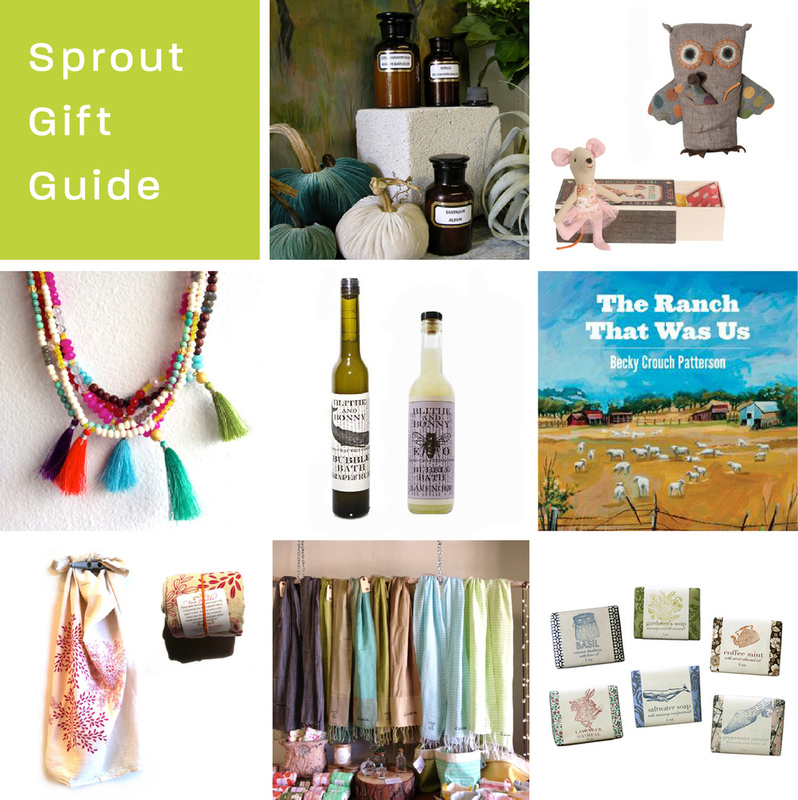 New gift items for spring have been arriving almost every day. The first out of the box (literally) were these tiny creatures by the Danish company, Maileg. They have a wonderful collection of beautifully designed and crafted soft toys for children. These newborn twins come tucked away in their own sleeping bag with crocheted trim, all of which fits into their "matchbox" bed. 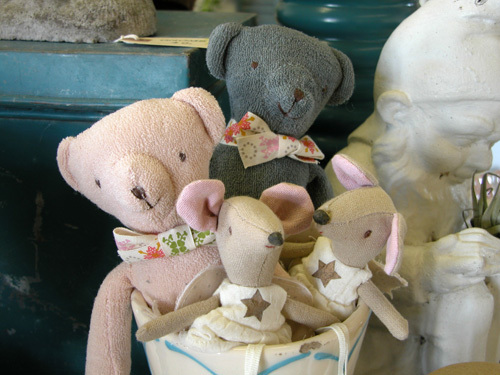 There are also wonderfully soft bears named Ted and Rose along with a tiny angel mouse complete with silver dotted wings. A bit larger toy is the somewhat retro inspired owl with a removalbe mouse in its pocket. All of the toys can be found in the new Children's section of our online shop. 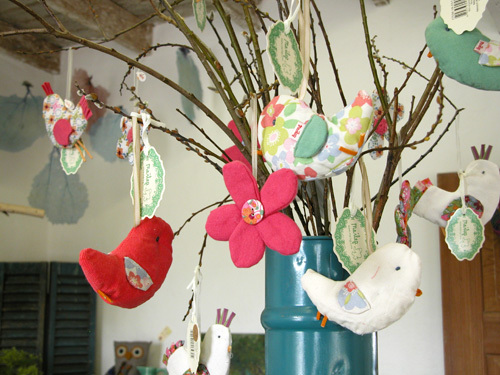 Maileg designs include more than children's toys with these flower and bird ornaments as well as spring inspired paper napkins. Blossoming branches will be coming in soon—a perfect display for these colorful creations. We have amaryllis bulbs planted in birch pots that make wonderful holiday gifts. This one is a deep pink called Hercules. I like the idea of decorating for Christmas using colors that are not quite as traditional—as seen here—but we have them in red as well. These are hefty bulbs that normally produce two stems with 4 blooms each and often last over a month so they're great for adding a splash of color throughout the holidays.